Although Uganda’s economy has expanded more than six times over the past three decades, new findings reveal that the impressive growth has mostly benefited a few Ugandans and foreigners and left majority of the population languishing in poverty and joblessness. The biggest losers of this tragedy are the youth. Ramathan Ggoobi, a lecturer at Makerere University Business School (MUBS) working with other economists, has done a number of studies in recent years in which he found that Uganda’s young people have been sidelined from gainful employment because the sectors that witnessed the growth, particularly the services and manufacturing sectors have not generate enough well-paying jobs. 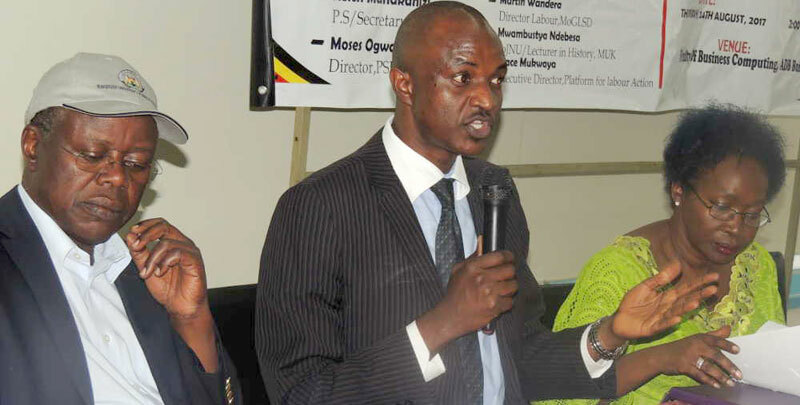 Recently Ggoobi presented findings from some of those studies under the banner; The Paradox of Economic Growth & Unemployment in Uganda during the monthly Makerere University Business School Economic Forum. These findings are difficult to ignore considering the proportion of young people in Uganda (73% of the population under 35yrs) but also the likely adverse outcomes of persistent unemployment on security, natural resources and generally the country’s ambition to achieve higher standards of living as indicated in the National Development Plans as well as internationally adopted frameworks like the Sustainable Development Goals (SDGs). Ggoobi cited another 2009 study by the World Bank that showed that 83% of Ugandans were unemployed. The situation is compounded by Uganda’s rapidly rising rate of the labour force – arising from the 3 percent population growth rate. This means that without deliberate and urgent economic policies to reverse the situation, the unemployment crisis threatens to reverse even the little gains such as political and economic stability as poverty results into higher rates of crime, push away investors and exact pressure on natural resources. Ggoobi argued that beyond rapid population growth, the unemployment paradox has been an outcome of low productivity growth particularly in the agricultural sector a situation that has compounded the vicious cycle of poverty and further unemployment.